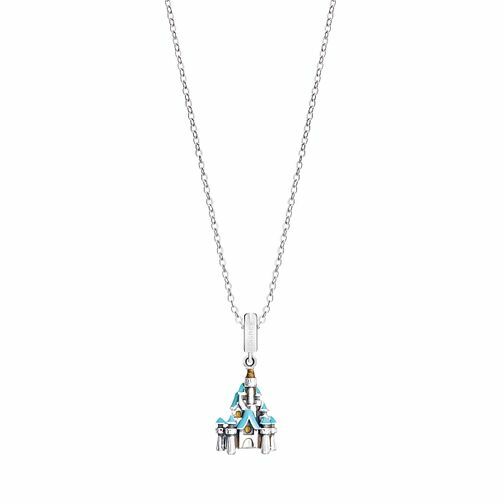 The iconic Disney castle stands as a clear figure with this endearing silver charm that makes it as a perfect gift for those who have loved everything to do with Disney. Chamilia Disney Sterling Silver Castle Necklace is rated 4.0 out of 5 by 3. Rated 3 out of 5 by Anonymous from Was knotted took a long time to unknot. Necklace was knotted had to use pins to undo them took over an hour of my time good job I looked before giving this to my girlfriend. Maybe find a way to keep this from happening again.